You'd be forgiven for not knowing who Xeno is. Alongside Defisis, the rapper and producer was one half of a crew called DFXO that released Kill Ya Wiv A Demo in 2001 and featured on Secondson And His Orchestra, which made it into many a head's record collection. 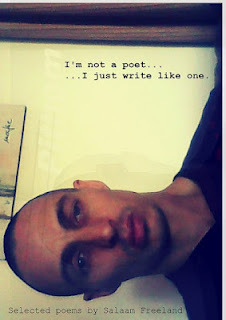 A decade and change on and now in the footnotes of UKHH history, Xeno - or Salaam Freeland - has independently released a book of poetry called I'm not a poet... I just write like one. See what the man has to say about the book here.